I found a good site for getting stock images free and out of interest searched for entrepreneur, to see what I should look like. This image came up and is called “Thoughtful Business Lady Seated in Office.” I wonder if she is thoughtful about why she was required to wear a wig for the photo. I came across this awesome project on Kickstarter (gallery in rural wales), courtesy of a lovely friend and backed it. I am planning to do a Kickstarter as part of the funding for the Art Playground so have been looking through some of the great projects on there. Also, I think it’s very likely I am late to the party but have also just discovered Pixlr for free online photo editing. It’s amazing. 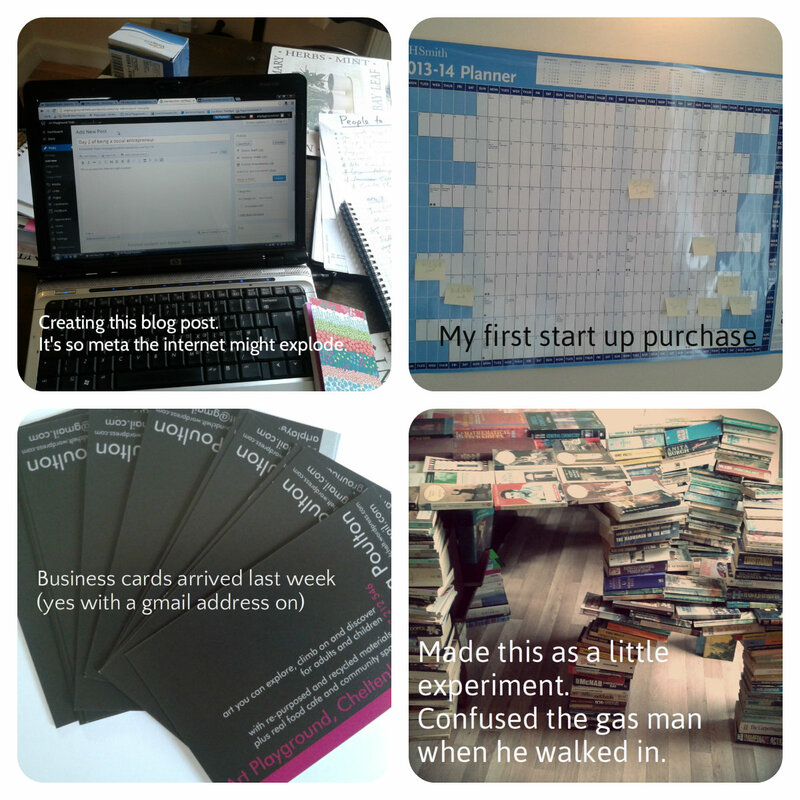 Below is a little collage I made to depict the modern social entrepreneur lifestyle.